Businesses can only be functional when everything is in good order, one of the things any commercial organization ought to care about is the appearance of their building because this plays a huge role in attracting clients, this is why commercial organization are very keen about fixing things immediately thy need repair. When you want to fix your commercial sliding door, call on no other person than American Sliding Doors Inc. the company is vested with a team of business minded people who know the significance of getting the best out of everything and know just how to give the best. 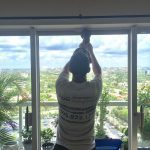 When you need a repair to your commercial sliding glass door, frame or glass, in Miami, you need it now. That’s when you call America Sliding Door Inc. We don’t just show up, we show up fully ready and equipped to solve the problem. We have a dedicated team of expert technicians that focus on repairs of commercial sliding glass door, replacement and maintenance. If you have a sliding glass door that needs to be fixed, that needs to be maintained, or that has any problem resulting associated with commercial sliding glass door, it is our specialty, call us. We specialize in commercial sliding glass door adjustment, glass replacement, frames replacement or repairs, total door replacement/repairs. We work on all types of sliding doors. At America Sliding Door Inc., we deliver expert service, guarantee performance as promised and on time. We have a large variety of inventory for commercial sliding glass doors that allows us to be readily available to solve your needs on the spot. We have technicians who are multi skilled and would be able to repair and/or custom design replacement of your commercial sliding glass door. 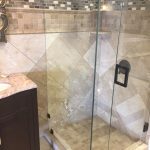 Our offers include a variety of repairs and replacement designs in various glass types to fit your budget. We understand that time is of utmost importance and we would always endeavor to offer timely delivery on all services to meet up with your deadline. In addition, at America Sliding Door Service we go out of our way to ensure that customers get the best quality. We supply you with a variety of superior quality glass product at affordable prices. You never have to worry about the quality of our product or services. We offer our services in Miami, Florida. 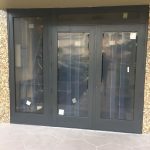 Some of our services include but are not limited to edge working, grooving, cutting, special sliding glass door, French glass door, patio glass door etc. We are experienced with working with customers and we realize it is imperative that we keep communications open with our customers so as to be able to meet their desired needs. Regardless of what the project entails, we keep communication open to ensure everyone is on the same page. 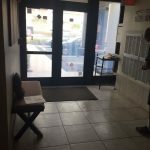 We offer quick and professional commercial sliding glass door repairs and replacement in Miami to meet your emergency replacement needs. We offer 2-hour emergency glass door repair service. You do not have to wait till morning to call us, call us right away. 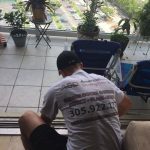 Call us at any time 24 hours a day, 7 days a week and we will be at your place of business and have your glass door repaired and/or replaced in no time. You can be sure that our highly trained technicians would be at the door in fewer than 20 minutes after your call. We aim to be the number one expert and go to guy in commercial sliding glass door repair and we recognize the fact that this can be enhanced through speedy, efficient and professional services. Call us and you would be glad you did as we would do or utmost best to ensure that your commercial sliding glass door meets your desired taste and design.